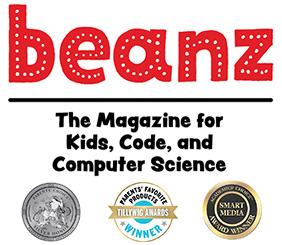 beanz magazine is an award-winning print + online magazine for kids about coding, computer science, and how we use technology. It's hands on, quirky, and fun. Issues arrive every even-numbered month. Your first issue will arrive no later than 3-8 weeks after you order.